Today is our last day! In today’s lesson, we’ll take a look at the custom shape tool and create a card using one of the shapes. In this first video, we’ll take a look at the custom shape tool and some ways to use it. We’ll also create our heart shapes for our card. In this video, we’ll use the Folkart Love kit to create our card using one of the templates from Day 2. We’ll add our hearts and learn a method for making shadow edges between the hearts. Just create a card using either a brush, eraser, or custom shape (or all 3!) on it and post it in our challenge forum. You can earn Chickie Points towards free products just for entering challenges! You can see all the challenge details here. If you are interested in additional digital supplies, I have a coupon code for you. Just enter pgpclassfun and the shopping cart will take 50% off all digital supplies in the Paper Garden Projects store here at the Digichick. The coupon is good through Feb. 15, 2013. If you enjoyed the class and found it helpful, please pass the word along to others! These posts will remain active so you can come back later. This entry was posted in Hybrid card class, Tutorials and Quick Tips and tagged DigiChick, Hybrid card class, tutorial on January 24, 2013 by Cathy. Welcome to our last week of class. Today we will be taking a look at the brush and eraser tools and exploring a few ways you can use them on your hybrid cards. For this week, I’ve created a collection of brushes for you to play with. I’ve also created another simple template. You can download this week’s supplies here. In this first video we will take a look at how to load your new brushes. We’ll also explore how the brush and eraser tools work. In this second video, we will use the new brushes on the sample card. And some are useful for adding a little grunge. All of them are very fun to play with by changing the scale, rotation and color. If you are interested in additional digital supplies, I have a coupon code for you. Just enter pgpclassfun and the shopping cart will take 50% off all digital supplies in the Paper Garden Projects store at the Digichick. The coupon is good through Feb. 15, 2013. The kits I used here are called Owl Wear Woolies and Owl Fall for You – 2 coordinating kits. Join us for our last class and last challenge on Thursday. We will be talking about the custom shape tool. This entry was posted in Hybrid card class, Tutorials and Quick Tips and tagged DigiChick, Hybrid card class, tutorial on January 22, 2013 by Cathy. Welcome to Day 4 of the class. We are still working with digital stamps today. We will be using one of the templates from day 2 to make our card and will be combining stamps to make our image. Today’s class will be short so you should have some extra time to do some creating. In today’s video, we will be creating a flower cluster to place on our card front. It is also possible to use pre-colored digital scrapbook elements to create your central image on your card. In this video we look at how to combine some digital scrapbook “stickers” to make the card front image. We also have our second Challenge today! Just create a card with a digital stamp on it and post it in our challenge forum. You can earn Chickie Points towards free products just for entering challenges! You can see all the challenge details here. 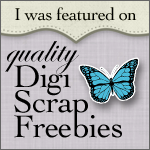 If you are interested in additional digital stamps, I have a coupon code for you. Just enter pgpclassfun and the shopping cart will take 50% off all digital stamps in the Paper Garden Projects store at the Digichick (most of the stamp sets are on page 3). The coupon is good through Feb. 15, 2013. Come back next week for our last 2 classes. We will be looking at different ways to embellish your card templates using the brush tool, eraser tool and custom shape tool. This entry was posted in Hybrid card class, Tutorials and Quick Tips and tagged DigiChick, Hybrid card class, tutorial on January 17, 2013 by Cathy. Welcome to week 2 – lesson 3 of our hybrid card class. Today we will be talking a little about digital stamps. Then we will be preparing a card from a new template and adding a digital stamp. The challenge with digital stamps is coloring them without the stamp lines bleeding into your coloring. In this part of the class we will be exploring all the advantages of digital stamps and discussing ways around the main disadvantage. In today’s course supplies you will find a set of floral digital stamps. You can of course also use any digital stamps you already own. You will also find a PSE template for today’s card. You can download your Day 3 supplies here. Generally, digital stamps come in 3 file types, and many digital designers include all 3 in their products. If you are curious about the file types and their differences, take a peek at this video. Day 3 video 1: Digital Stamp File Types. Digital stamps provide amazing creative opportunities, but they do have one drawback. Since you are printing the image, you cannot easily control the type of ink used. This means you will need to adapt how you color to suit the ink. It is the opposite of what we generally do with rubber stamping, where we decide how we want to color and then chose the ink the works best with that coloring method. It also probably means you want to use a different type of paper for coloring your digital images than what you use to print your digital papers. The brochure paper or photo paper is coated to make the printer ink more vibrant. But these same coatings may not be what you want when hand coloring. For example, the coating will grab marker ink (Copic and others) and make it much more difficult to color smoothly and blend. For this reason, I recommend printing your digital stamp images separately from the rest of your card. I will show you my method of doing this in the video. If I use a good quality cardstock with my printer, I have no problem coloring with Copic Markers, Prismacolor pencils or chalk. But water coloring often causes the image lines to run and water based markers are difficult because I will get ink smears if I touch the lines with the marker. If I have my heart set on water coloring or using water based markers, I have to spray my images with a workable matte fixative. This does help, but the ink will still bleed if I use too much water. Having said all of this, keep in mind that there are many different combinations of printers, inks, cardstocks and coloring methods being used. Print outs from laser printers are usually much more resistant to smearing than inkjet printers, but most home printers are ink jet printers. You may need to do a little experimentation to find out what works best for you and your printer. If you have trouble with the image lines smearing you can try some of these tips. Print your digital stamps on good quality cardstock, the same you would use for stamping. I mainly color with Copic markers and my 2 favorite papers are X-Press It Blending Card and Neenah Classic Crest, but there are many other good quality cardstocks out there. Keep in mind that the cardstock will need to pass through your printer, so some of the very heavy weight cardstocks may not be the best choice. They may not feed through the printer easily. If smearing is still an issue, try letting your printed images sit for a while (or overnight) to dry completely. You can also try heat setting the ink if you have a heat gun. If you have access to a toner based photocopier, try photocopying your images on to the cardstock you wish to use. Toner ink is bonded with the paper and more resistant to smearing. Use a coloring method with as little water as possible. Try spraying your images with a matte workable fixative to reduce smearing. You can find workable fixative in the spray paint or artist section of you local craft store. Keep in mind that your printed digital papers may react to water as well so avoid spraying or splashing them when cleaning up. Other water based products like adhesives (crystal effects, Mod Podge) and glitter glues (Stickles) may also react with the printer ink. You may want to test them before using them on your project. I’ll post links to a few of my favorite font sites in the class forum thread – and hopefully others will too. I love finding new font sources! Below are some videos describing how I created the card with the digital stamp above. I’ve broken them into shorter segments to make it easier to view the parts of interest. In this video, we will set up the template with our digital supplies and talk about shadowing layers. In this video, we will use the text tool to create the sentiment and learn how to clip a digital paper into the text. In this video, we will size the digital stamp for our card and prep it for printing. We will also discuss using templates with manual die cut machines and cutting dies. On Thursday, we will be creating focal image for a card using multiple digital stamps. We will also be having our second card challenge – so come by and check it out! This entry was posted in Digital Stamps, Hybrid card class, Tutorials and Quick Tips and tagged DigiChick, Digital Stamps, Hybrid card class, tutorial on January 15, 2013 by Cathy. Welcome to day 2 of our hybrid card class. In this session we will be looking a a couple ways to manipulate digital supplies to allow us to use them in different ways. We will be using the same template but changing the orientation. Here it the lesson video. Just click on the link to view. I also have a new download for you today. Here are a couple additional card templates that you can use to create your cards. Click the link to download. Also – today is your first hybrid card challenge! We want to see your creation and give it some love. AND you can earn free digital supplies just for participating in the challenges – how cool is that? All the challenge details are in the thread linked above. Next week we will be talking about digital stamps – so be sure to come back on Tuesday. This entry was posted in Hybrid card class, Tutorials and Quick Tips and tagged DigiChick, Hybrid card class, tutorial on January 10, 2013 by Cathy.